Brian Favat, of Bcinterruption.com was nice enough to answer some questions about Boston College. BS:The Eagles started 2-5, but won their last 5. What changed for BC in the second half of the season? Brian Favat: Two things happened. The Eagles finally settled on a starting quarterback (true freshman Chase Rettig) and the schedule lightened up considerably. During BC's five game winning streak, they beat just one team with a winning record (Syracuse 7-5), a 6-6 Clemson team and the three ACC teams who aren't bowling this year (Wake Forest, Duke and Virginia). BS:RB Montel Harris is probably out for the bowl game. How good is backup Andre Williams, who had a great game at Syracuse to end the season? Also, your thoughts on the offense in general. Brian Favat:Montel will actually be ready for the bowl game, in all likelihood. The long time period between the end of the regular season and the January 9 bowl game certainly helped allow Harris to heal following his surgery. His backup, Andre Williams, had a breakout game in the regular season finale against Syracuse. They are different types of backs, but the bottom line is when the Eagles offensive line is humming, either one is going to have a good game. 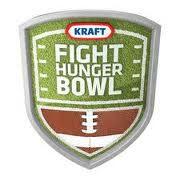 Nevada's run defense is middle of the pack nationally, so I think you'll see the Eagles employ a run-first offense in the Kraft Fight Hunger Bowl. BS:The defense is number 1 in rush defense in the country. How much of an advantage is facing a heavy running team in Nevada? Also, please comment on some defensive standouts. Brian Favat: It's a big advantage. The Eagles defense has shut down some pretty outstanding backs in the ACC (Maryland's Da'Rel Scott, Clemson's Andre Ellington, Virginia Tech's Darren Evans). It starts up front on the defensive line, but the BC defense has been so good against the run primarily due to their linebackers. Sophomore consensus All-American linebacker Luke Kuechly is a tackling machine and has great football instincts. He seems to just fly to the ball. BS: If you had to choose one player to have a breakout performance in the bowl game, who would it be? Brian Favat: Montel Harris and/or Andre Williams. It's the last college football game for Anthony Castonzo and many of the Eagles big O-linemen. If Harris favors his injury, look for Andre Williams to step up in the bowl game. Either is probably due for a big game with a Nevada defense that has only been average against the run this year. Dan Hinxman, of the Reno Gazette-Journal was nice enough to answer some questions about the Wolf Pack. BS: The Wolf Pack went 12-1 sharing a WAC title. How big of a program changer was the huge comeback win vs Boise State? Dan Hinxman: This remains to be seen. They didn't let the hangover affect them much, winning on the road the next week at Louisiana Tech, 35-17. It's interesting, Nevada had fallen behind significantly to Boise State each year since 2007 and made a comeback, only to fall short from 2007 to 2009. I think they felt like they could beat them, which is really important, especially when you fall behind 24-7 by halftime. There has been a lot of talk around Reno about using the Boise victory and a Top 25 season to catapult the program the way Boise State did in the early part of the decade, but Nevada doesn't have the infrastructure Boise State has (in terms of facilities and a strong fan base). I expect recruiting to get a boost, but with a strong senior class leaving, I don't expect Nevada to maintain this level of success, especially given that it moves to the Mountain West Conference in 2012. BS: The Wolf Pack are great in the rushing game. How good is the combination of QB Colin Kaepernick and RB Vai Taua? Also, who are Colin's top receiving weapons? Dan Hinxman: The success of the Nevada offense is all about the convergence of three things -- Kaepernick's talents, the Pistol offense and a very good offensive line. Taua is a very good back, too, but even an average back can be successful in this offense. Kaepernick is such a unique talent and perfectly suited for the Pistol offense -- intelligent (a QB has to be able to read defenses in a split second after the snap), long-armed (allowing him to "ride" the zone read longer), a great runner and an efficient passer. All that makes a defense stay back on its heels a bit, which is never a good thing. But they can't be too aggressive. That allows the offensive line to get an edge, too. It's really kind of a perfect storm. Rishard Matthews, a JC transfer, stepped up and had a great year in his first season at Nevada. He was the team's MVP in the win over Boise State. Sophomore Brandon Wimberly was the WAC freshman of the year in 2009, and senior Malcolm Shepherd stepped up as a very reliable third option. Senior tight end Virgil Green was an All-WAC first team selection. BS: The defense has had a pretty good year, but at times has struggled. Who are the unit's top players? Dan Hinxman: Senior defensive end Dontay Moch has more tackles for loss than any other active player in the country. He has a tremendous burst, and most teams have double-teamed him this year. Junior linebacker James-Michael Johnson moved from outside to middle this year and was outstanding. Junior Brett Roy, who came here as a walk-on safety, is now a 280-pound defensive tackle who probably should have gotten more recognition for All-WAC. Senior defensive end Ryan Coulson was under the radar because of Moch, but also had a very good season. Nevada's cornerbacks, a sore spot the last three seasons, were solid this year. Thanks a lot to Dan Hinxman, of the Reno Gazette-Journal.